"Over the next few years, I’d love to see more propositions come to market that shift the dial, engaging customers in the way that they want to engage with us." 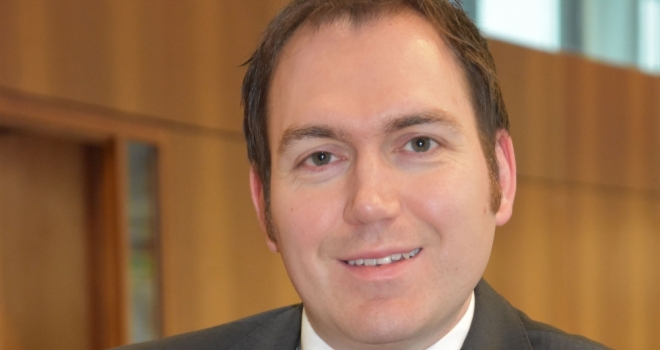 We spoke to Scott Cadger, head of protection underwriting and claims at Scottish Widows, about the firm's approach to complex cases and how an automated underwriting process is driving better pricing for customers and advisers. FR: Your current job role is head of protection underwriting and claims - tell us a bit about your role and what a typical day looks like. My role spans across all of the protection products that we offer within Lloyds Banking Group and Scottish Widows. I look after two areas; our approach to underwriting customers as they apply for a protection product and ensuring we have a fair approach to settling claims. My team works very closely with our proposition, distribution and pricing colleagues to develop new products. Everything that I do is directly linked to our customers, and that’s why I enjoy the job so much. A key area of focus is how we improve the protection application process for new customers, both through online applications and also for more complex cases. When it comes to claims, my job is to review complex cases to find the right outcome for our customers. This could include anything from whether a customer has disclosed the right information during their application, to if a medical condition meets the definition of a claim. I’m really proud of our approach, and the results can be seen in how many claims we pay every year. FR: What steps should advisers be taking to ensure their clients are fully protected? It can often feel uncomfortable to talk about protection because naturally, most people find it hard to talk about death and serious illness, but it really is the corner stone of any financial plan. Some advisers might also not specialise in protection, so it’s important for us to partner with protection specialists who can offer customers the right support and expertise. Protection cover is also not something that should be put in place and then forgotten about. Customers should make sure they have regular reviews as personal circumstances can change over time. There are also wider ongoing benefits of having the right type of cover – for example our ‘Care cover’ gives customers access to practical advice and emotional support from a dedicated nurse, access to a second medical opinion, and support for both new and pre-existing conditions for them and their families. They can even access this without making a claim. FR: What developments would you like to see within the protection market and what changes do you foresee over the next few years? We’ve seen two main developments recently, the first is expansion of critical illness products and the second is a real drive to automate more of the underwriting process. As a result this is driving better, more individualised pricing for customers and advisers. I expect to see more of this type of activity and more transparency in the buying process. With that, will come a greater focus on the different underwriting risks and conditions that each provider is willing to take on. This will benefit the wider market, ensuring we are collectively providing access to insurance to as many people as possible. We still talk regularly as an industry about products, the sales process and helping make things more efficient. Over the next few years, I’d love to see more propositions come to market that shift the dial, engaging customers in the way that they want to engage with us. FR: What are the biggest issues facing advisers in the current economic environment and what should they be aware of when dealing with clients? One of the biggest issues facing advisers at the moment is ongoing political uncertainty, with the wider macro-economic environment making consumers more aware of their protection needs. The reform of the Support for Mortgage Interest Welfare Interest safety net means advisers are being encouraged to review both existing and new clients’ mortgage protection needs. Changes to the IR35 regime had the greatest impacts for contract workers in the private sector, and have created an opportunity for advisers to review the mortgage protection needs of these clients. The introduction of the Insurance Distribution Directive is a good opportunity for a health check, especially in relation to customer vulnerability and access to insurance given that these issues are highlighted in the FCA’s 2018/19 business plan. FR: If you could see one headline about the protection market in 2019, what would it be? As an industry, we have made great strides in raising the profile of the good that cover can bring when people are facing some of the most difficult points of their lives. Through the promotion of claims statistics and stories, there is more positive media coverage than ever before. I’d love to see this expand further. The risks of not having cover in place are huge. Not being able to pay off the mortgage if a partner passes away, not being able to make the vital lifestyle changes to support coming to terms with a serious illness. These are some of the situations for which protection provides a financial safety net. Talking more regularly about this and the important support that can help prevent of these situations is key to continue that positivity around insurance and raise awareness more broadly about the importance of financial protection.